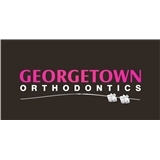 Georgetown Orthodontics (Washington) - Book Appointment Online! Welcome to Georgetown Orthodontics, where we deliver state-of-the art orthodontic care in a friendly, patient-centered environment. We strive to provide each patient with a positive experience from the moment you walk through our door.